Independent candidate for Guruve South Wilbert Mubaiwa has responded to Minister of Agriculture Perence Shiri's claims that Mubaiwa is a thief saying instead it is vice versa and above all Shiri is an outsider in Mashonaland Central province. Addressing scores of his supporters at Mudindo growth point ward 12 in Guruve South Mubaiwa said Shiri was arrested for theft during the liberation struggle but today he is accusing others of his unethical habits. "We hear someone is saying I was chased away from army labelling me a thief, but surprisingly this guy is the one who was arrested during the armed struggle for theft and had to be pardoned by the government for unethical habits," said Mubaiwa. "It is surprising I am being pointed but have you noticed that you are pointing me with one finger but the remaining three are pointing at you so be careful of what you say to others , these guys are denouncing me because they are afraid of me," he bellowed amid thunderous cheering. Mubaiwa labelled Shiri an outsider in the province who does not have respect for Guruve chiefs Bepura and Chipuriro. "This outsider is coming to detect what is right and wrong in our territory he came here we gave him land and now he thinks he is so powerful more than our chiefs whom he disrespects what this dull person does not know is the Chiefs were there long before Nyatsimba Mutota area hence they should be respected." Apparently, Mubaiwa's name was removed from the ballot paper during ZANU PF primaries on the date of elections. Speaking on the side-lines with this reporter Mubaiwa blamed Shiri for the removal of his name saying he feared competition from him since he is more learned than him. "He made sure my name was removed on ballot paper during primaries because he feared competition in government since I am more learned than him. Mubaiwa also denounced national youth member Paul Rwodzi labelling him corrupt after he allegedly solicited for a bribe from him during the primaries. 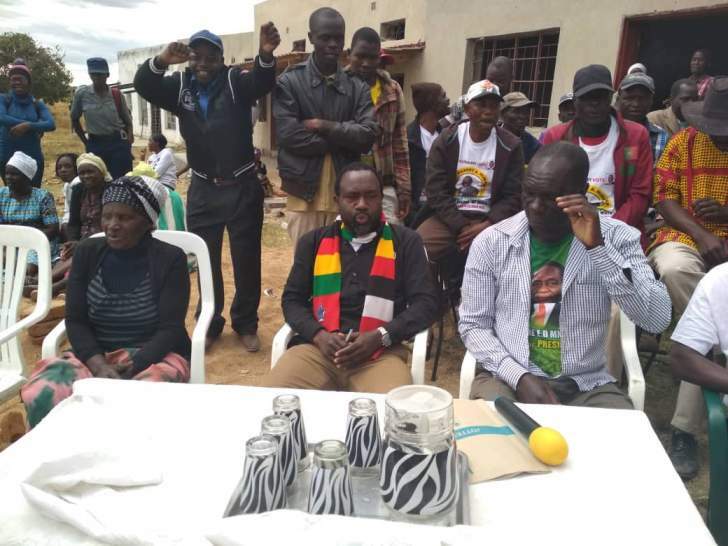 Rwodzi had took a swipe on Mubaiwa saying he was an "unrepentant sellout " who wanted to grab Joice Mujuru's party before being removed from the ballot on ZANU PF ticket, Rwodzi was speaking at a ZANU PF rally in Guruve South, Horse Shoe recently where Shiri had denounced Mubaiwa. "Rwodzi is so corrupt he came to my office soliciting for a bribe during the primaries saying I should pay in order to win the primary elections but I turned him down and today he is speaking bad about me because I did not accept his corrupt deals." Shiri told president Emmerson Mnangagwa at a star rally in Bindura that Mubaiwa was giving them anxious moments and was working with two chiefs but they were going to defeat him on 30 July.